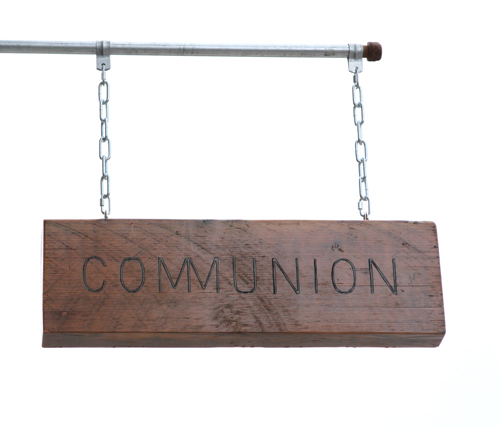 Communion, a new clothing store on SE Hawthorne in Portland, commissioned us to make some new signs for them. Pictured here is a custom storefront sign that you can find hanging in front of the store. It’s made out of reclaimed wood and features an identical and meticulously hand burned logo on both sides.